“We beaders have very distinct patterns of behavior, wouldn’t you agree? Sometimes, I catch myself doing something, and I think, gee, only a real beader would do something as crazy as this. Do any of these sound familiar to you?” I am sharing in a segment of the newsletter from The Daily Beader. I can totally relate and wanted to share this great point of view that others can relate to as well. Everyone’s dining room table looks like this…right? 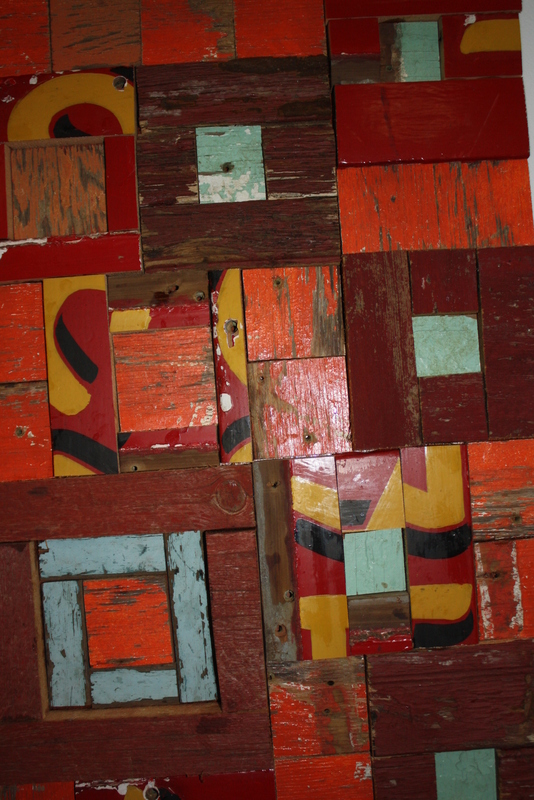 You might be a beader, if…you haven’t seen the surface of your dining room table in the last six months. Yes, this also applies to your coffee table, kitchen table, sofa, or favorite armchair, too. In my case, the beads tend to overflow from my little corner office desk in the living room into the dining room, into the bedroom, and even into the kitchen once in a while. Do those little beads have legs, or what? Yes, I believe that beads take on a life of their own, moving where you are and multiplying very fast too. Although I have a designated workspace, my studio sometimes expands to the same places that Jennifer mentioned as well as a few other places. Sometimes I bead in the car, in a hotel room, and outside. Beads just pile up in unexpected places. 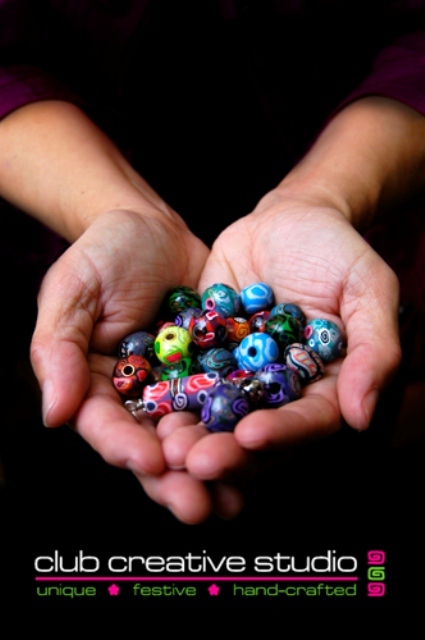 You might be a beader, if…you’ve ever made a New Year’s resolution to buy less beads and use more of what’s in your stash. Admit it, when you thought about what you wanted to change in 2013, you probably thought that you wanted to do more beading projects to use up all the beads you have in your stash. I did, too, until I saw that one of my favorite online bead suppliers had a brand-new stock of Rizo beads. That resolution didn’t even last a week, I’m ashamed to say. The thing about using the term”stash” only really means that we want to keep something, not really keep it to use for a later date. Beaders get attached to their beads, it is one reason why it is sometimes hard to give my art away to the public, so much of an artist’s soul goes into creating the hand-made beads that I include in my jewelry art. I did not resolve to buy less beads but, I did resolve to make more beads! You might be a beader, if…you start six new beading projects before you finish the first one you originally started. This could be why my beads tend to spread themselves out all over the house. I started a bead-weaving project on one of my new Bead On It boards, and then before I was halfway finished with that one, I had an idea for another beading project that I just couldn’t wait to get started! Thankfully, I had another empty beading board, so I started that beading project. But then I ran out of room on my desk, so I parked the new project on the dining room table…and so on. It’s almost like I suffer from Beader’s Attention Deficit Disorder or something. I tend to jump from work space to workspace within my studio if I am in the experimentation mood. Otherwise, I try to discipline myself. I try to stick to one project at a time so that I can focus and dedicate the needed attention to one piece of art at a time, and check off the customer’s project as quickly and as professionally as I can without a start and stop interruptions. A drawer full of brown seed beads, yet I can’t find just the right color… You might be a beader, if…you have four cabinets full of seed beads, but you don’t have just the right color for your current beading project. This happens to me all the time. Yes, I really have four cabinets, each with seven drawers, that are full of seed beads in pretty much every size, shape, and color you could imagine. So why is it that I can never find just the right color for my latest beaded jewelry design idea? I have no idea, but when this happens, it’s really hard to keep that resolution not to buy any more beads and use more of what’s in my stash. I do not work with seed beads often enough to have a large collection of them. 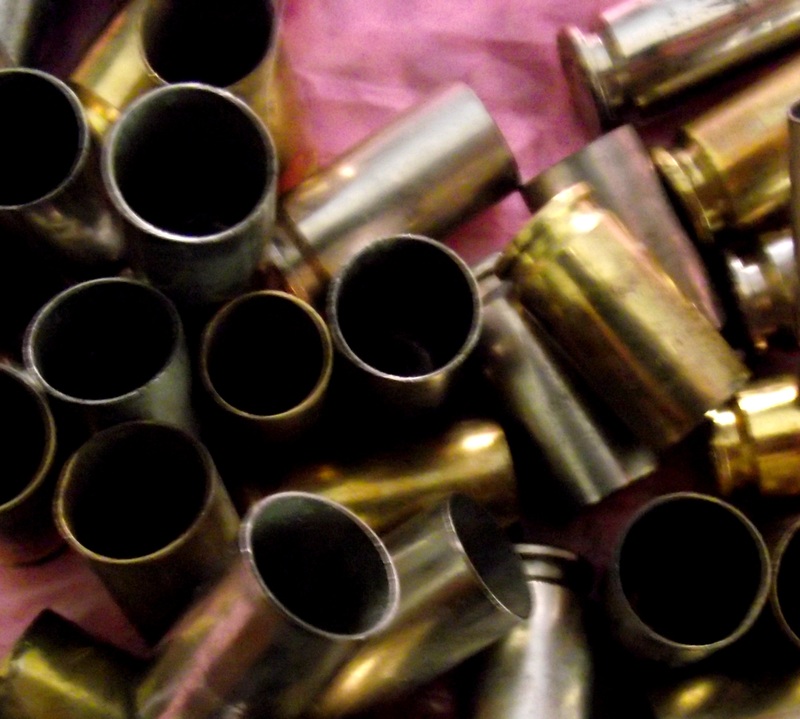 I can see the problem of running out of them however, because they are often sold in small quantities and you never know when you need a huge amount for a project. I am unique to this situation because I am at an advantage in making my own beads. 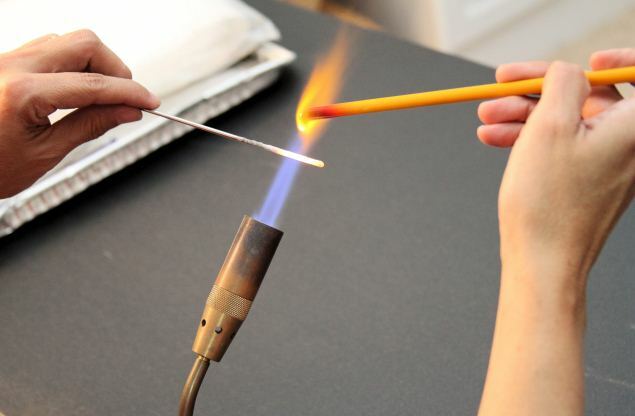 I create custom colors so I do not have to rely on a manufacturer supplying the “perfect” matching color. You might be a beader, if…you’ll spend $300 on seed beads, but you buy all of your clothes at the local thrift shop. Not that shopping at the local thrift shop is a bad thing. I mean, my local thrift shop is where I found my favorite cheetah-print cashmere sweater for a mere $2! Saving money on clothes means more money for beads, right? (At least, that’s what I keep telling myself. )” It is true that if you are a beader, your perspective and priorities are different from others concerning extra cash. I love to get that spree thrill rush from being in a bead or craft store and discovering all of the treasures there. Bringing my bag of goodies home is like Christmas. I can’t wait to open the packages and get started on a project. Inspiration can come from a bag of buttons, findings, wire or any other supply we use in our designs. Jennifer and I both ask if you know anyone that has or does display behaviors like the suggestions above. We both agree that there is no cure for being a beader, and that using up beads in a vicious cycle of creation is a good thing. Club Creative Studio is sharing theme art in this Feature Friday post today that has been inspired by music on the radio. It’s that time of year that the sounds of Christmas fill our airways. 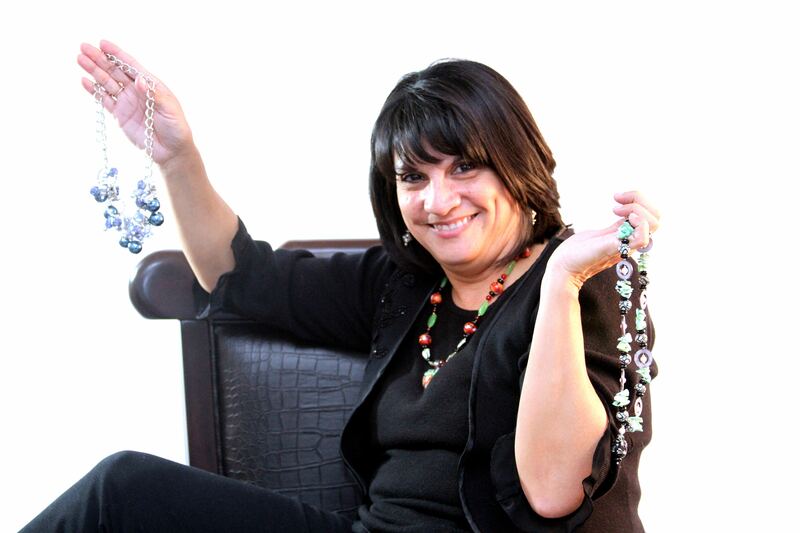 Appreciating Christmas carols are part of our traditions, and one has inspired me to create a few statement pieces of hand-made jewelry art in the color blue. Club Cretive Studio Art. Hand-made pendant. 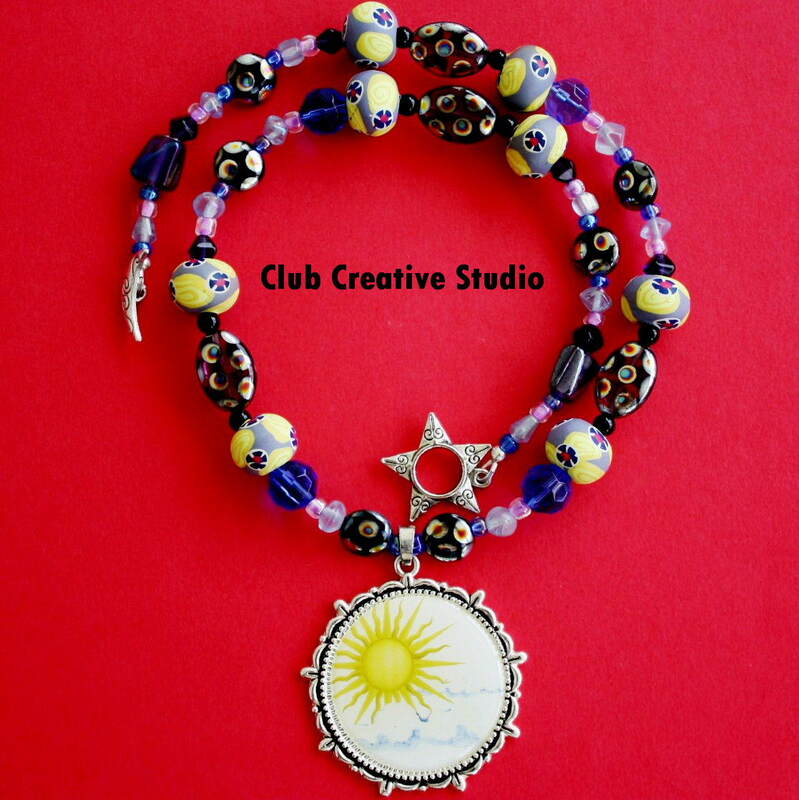 The necklace above is made of various mixed metals, faux pearls, glass beads, shell buttons and dyed shell beads, a tea pot charm and a blue and black clay bead from polymer clay. Lately the tune Blue Christmas sung my Elvis Presley has been heard quite often. So, I decided to create from the title of the song. I don’t seem to createhand-made items in the color blue very often. I don’t know why. I have nothing against blue. I like blue. So, to concentrate on one specific color, and create item after item in the blue theme, was a welcome challenge and change of pace. How does the color blue make you feel? Does it make you feel down or lift your spirits with a calm feeling? Using music as inspiration is easy because you can listen to words over and over and take to heart what is being conveyed to you. Any given day may render a new meaning while listening to the same words of a tune so use that as inspiration as well. The song Blue Christmas inspired art in this theme color. 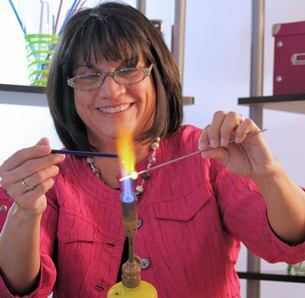 Theme jewelry-making can be a challenge to create because you may feel like you are limited in creativity however, it can also be a welcome task because you are placed in a position that you need to stick to in terms of a certain style, mood, or color. Hand-made jewelry art with a focus on the color blue. Christmas Crunch- It’s Bow Time! Are you feeling the Christmas crunch? Club Creative Studio is sharing creative information about how to make your gifts look special for the holiday season and beyond. Club Creative Studio’s blog posts have a focus on CREATIVITY. Today’s focus is on the creativity that is found when it should not be found. I wish I knew the source of this art. Is sleep over-rated? I have this thought from time to time. Phooie on sleep! A perfect sleep or powerful rest are sometimes far and few in between. Are they for you? It is no secret that many have difficulties sleeping for long periods of time. Some people have medical issues with sleeplessness, others blame this lack of sleep on a busy mind. No matter the cause of sleepless days, weeks, months you may be able to turn those hours into productive times. For me, not being tired enough for a good sleep, or being restless is a sign that I need to be doing something creative. I use those times to plan, experiment or apply a hands-on technique that express creativity. 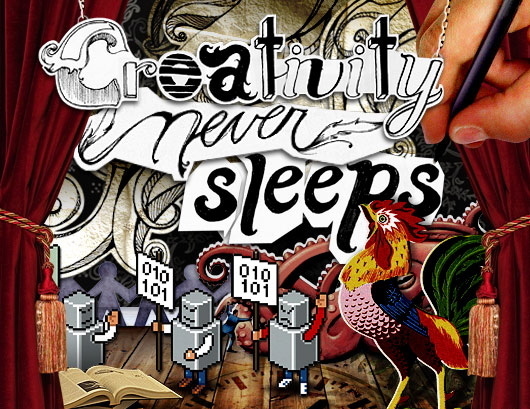 Creativity never sleeps. Your mind is always racing with creative thoughts. I figure that I might as well act upon those creative times instead of dwell on them in an idle mode. I can be more or less creative as I get more or less sleep. There are certain days of the month that I find that I am awake longer periods of time and are then in turn are more creative and productive. If you have that pattern, take advantage of how you feel. If there is a certain time of day that sparks you to focus more, then take that as a sign to do what you do best when you can. It may be a matter of being in-tune with yourself that allows you to be at your most creative levels. Take time for the things you need like sleep. 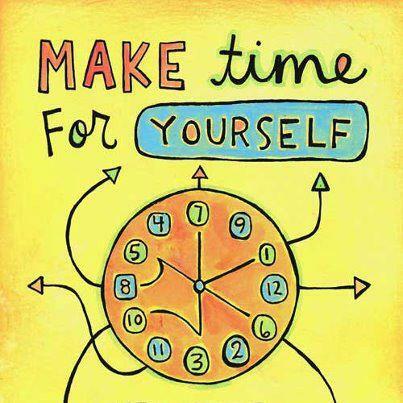 Take time for yourself and remember to listen to the needs of your body. If you do need extra sleep then by all means attempt to get that. Insomnia is no joke. If you need to be awake and creative, then find a way to make that happen. Find a balance. Find your balance. Do not deprive yourself of sleep for creativity but, be creatively productive in those times that you are unable to relax enough for normal sleep needs. Your mind needs to rest. Your body needs rest for well-being, we all know this. No one knows YOU better than YOU. Sometimes that lack of sleep one day is what you will make up for on the next day. When it comes to CREATIVITY, I find it helpful to seize the moment. The ideas, trials, errors, experiments may be forgotten if not acted upon quickly so when you are dealing with a creative effort sometimes it is best to act upon it when the mood strikes. That may be the reason that some of my best ideas come to me in the middle of the night. For goodness sakes, if you are too tired the next day remember what a good power-nap can do for you? Happy creating to you today – no matter what time of day or night it is for you! Can’t Beat Them? Join Them! As today’s Feature Friday post I would just like to add a few graphics here that I found to highlight as inspiration. I hope that you have the opportunity to take time for yourself and use it wisely to improve upon something intellectually. It may be as simple as taking an hour out for a teleseminar or webinar or an extended plan for a course or degree. 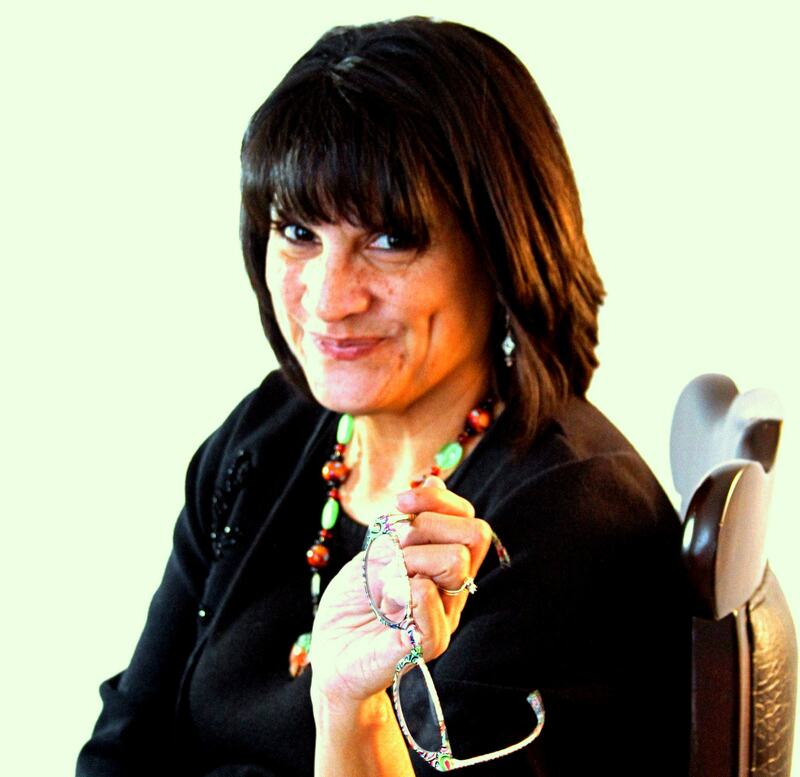 The reason I have chosen to take a minute to post specifically on this topic is because I recently took the plunge, overcame fears and took part in my first teleseminar and webinar situations. They were very rewarding, and proved to be a time investment! It took too long to beat around the bush and not explore these key educational opportunities, so I decided to join in. What will you be able to do to improve yourself creatively? What’s your way to K.E.Y. in life? 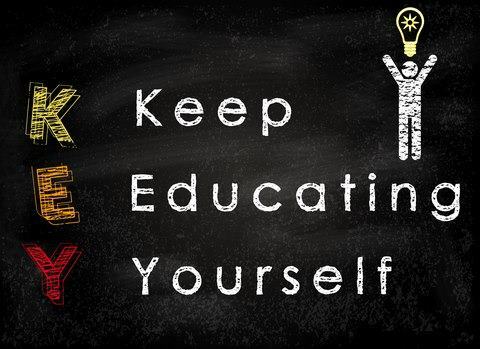 Feel free to share your learning experiences with us here in a comment. I wish you happy CREATING and happy LEARNING DISCOVERIES! My Thankfulness Challenge continues, and I continue to document at least one thing during the day that I am thankful for. Sometimes it relates to art specifically, other times not. Today, is one of those days that my thankfulness relates to my art. Being artful tends to be a big part of my day since it is also my job to create art on demand. Last night, I heard a news story that stuck in my mind and today it helped prompt my thankfulness in this blog post. Today’s post tells a story of thankfulness for my hands. My workplace: Club Creative Studio, is packed with many different supplies and needed tools. There is one element that makes my art creations easy that is often over-looked and taken for granted. Today, I express my thankfulness for the constant use of my HANDS, specifically my fingers as functioning tools that I need daily to make artful creations. 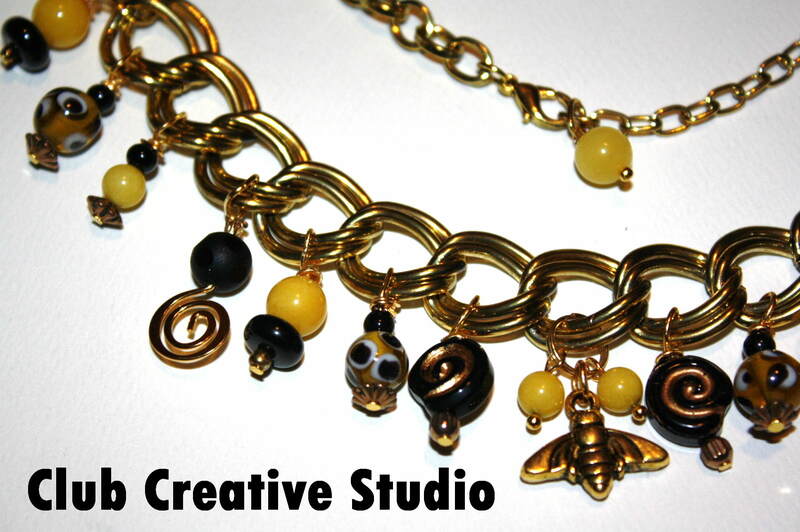 I use my hands daily to create one-of-a-kind artful items. The news feature that gave me this blog prompt was reported and started out by telling the story of a few men who were enjoying a fishing trip together. When one caught a large fish, there was also a surprise attached. Upon further observation, they discovered that the fish had an unexpected object in his jaws along with the line and hook. Much to their dismay, they discovered that it was a human finger! My first reaction was “eeewww” and I then wondered how quickly the question of who it belonged to could be solved. As the story continued, they found the man who the finger belonged to. It seems that two months prior, he had lost his fingers in a water sport related accident in the same body of water where the fisherman initially were. Those who had analyzed the finger apparently asked him if he wanted it returned to him. He answered, “Why would I want a two-month old dead finger?” He declined to take it back. This brought to my mind that this person had moved-on and had adapted to his new method of living his life. He had no use for a finger that would not be of use to him. How often do we take for granted elements in our life that we use on a daily basis? I think geez, without my eyesight or hands, how would I make beads? I don’t know that answer for sure. But, I am grateful and appreciative of the hands, my main working tool that I use everyday in my creations. Today, I am especially thankful for my HANDS. For, it is from them that I am able to create and express myself. 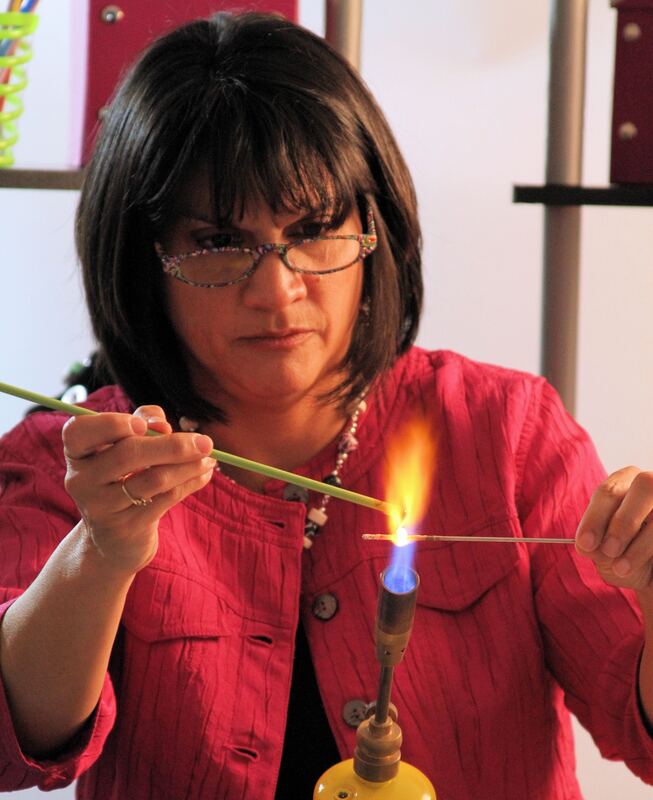 Making beads, jewelry and art with my hands are at the core of sharing creations with you. It gives me pride to be able to create unique items and share them with you as no one else can because they are made only from one pair of hands…mine. Thank you for wearing and sharing Club Creative Studio Art. 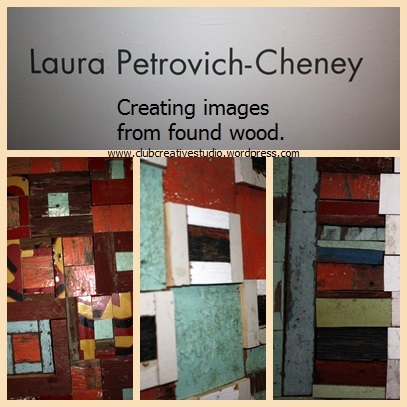 HAND-made Art That Sets You Apart! 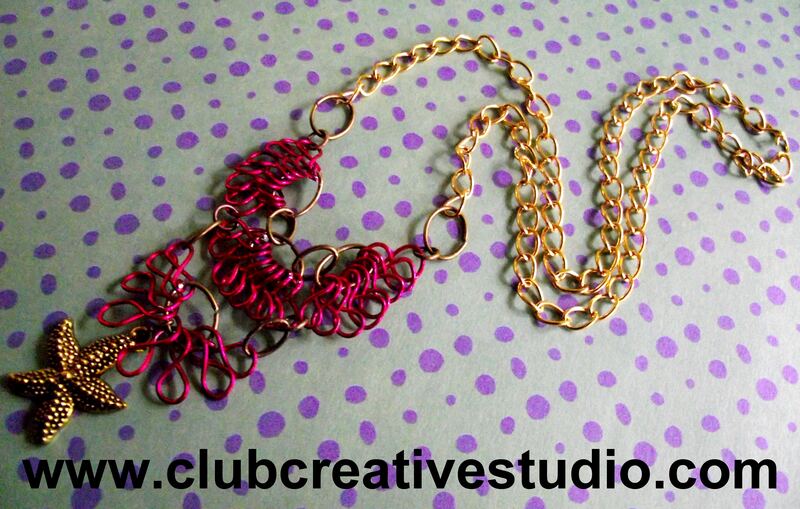 Club Creative Studio’s Handmade wire art necklace. 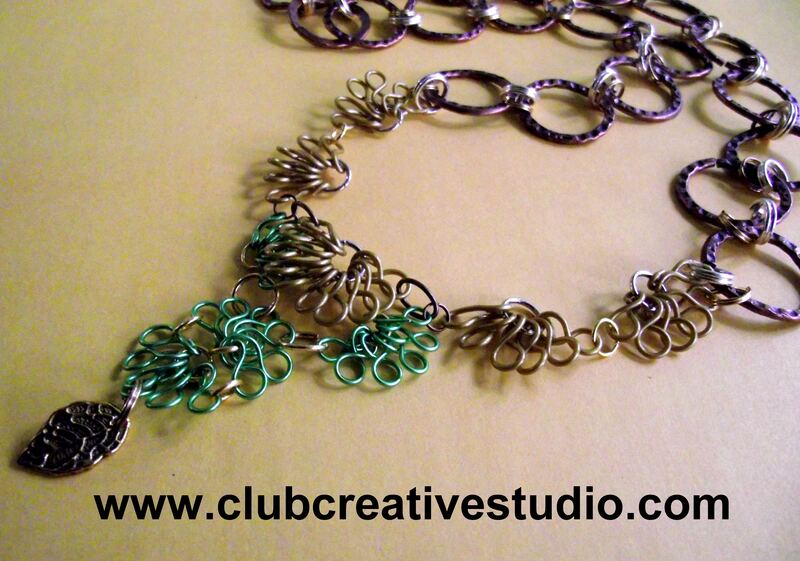 Yesterday’s post from Club Creative Studio shared a few challenges of the latest wire worked project. Any single day can be filled with obstacles if you are trying a creative project for a first time or have been away from a technique for any duration of time. Today’s Feature Friday post will share a few successes from the challenges of working with wire in a new way. 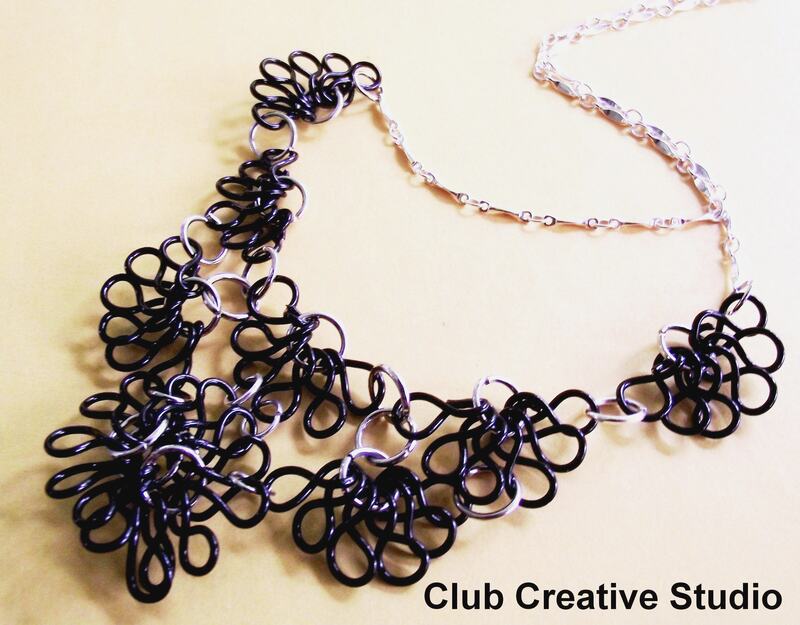 Wire art from Club Creative Studio. 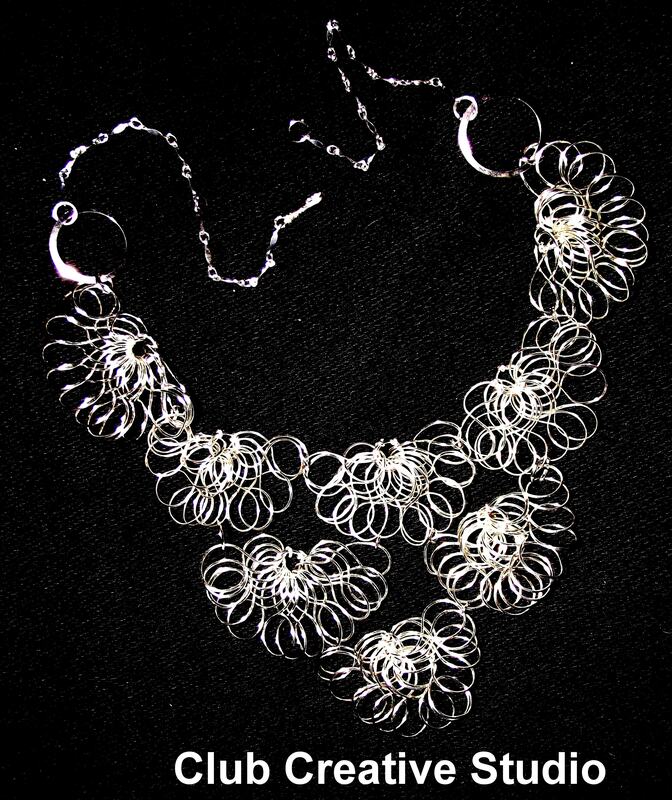 Basicly, when I sat to create these necklaces, I wanted to have the feeling and look of the technique of chain maille but, not all of the complicated segments. That look combines individual loops in a maze-like pattern repeated over and over that link together. This did the trick for me because for one, I did not get a headache or confused too often and for the second reason, I was able to duplicate the method using a variation of technique. Colored wire art from Club Creative Studio. Today, I am thankful for variety at the design table, especially the variety of wire. Wire lends itself to change. Wire has different levels of strength and durability, it has a range in gauge (thickness), presents itself in suitable qualities, and it is offered in a variety of colors as well. It is a wonderful to experiment with. 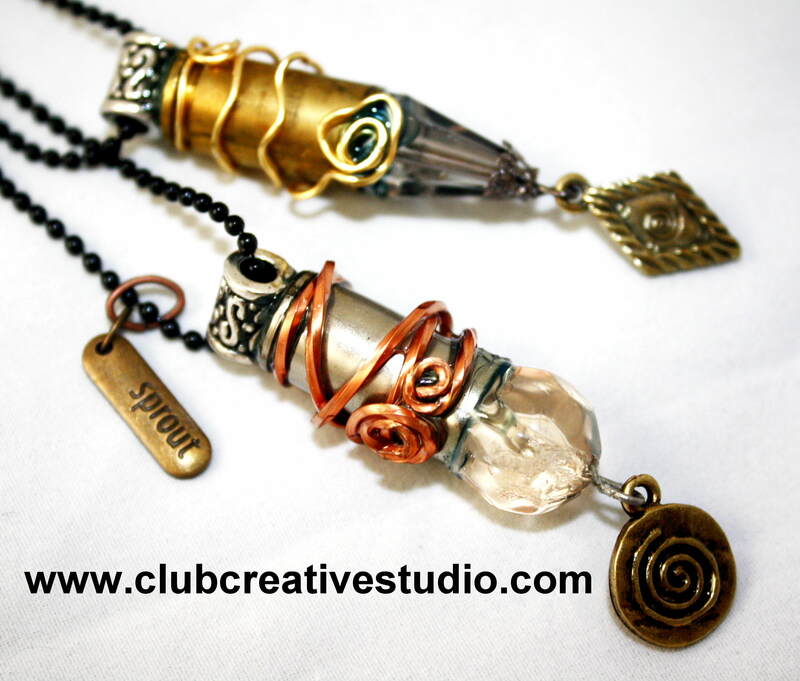 When I wrap in wire, it also looks wonderful to mix silver, gold or copper wires together. I love working with wire. Does it show? 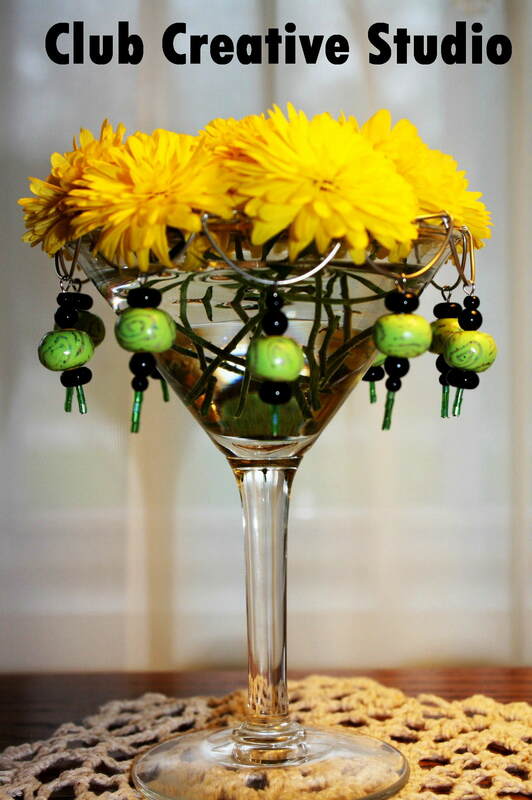 Yellow flowers help complete my table arrangement with the Club Creative Studio Keepsake Rim Trim beaded vase embellishment. Do you want to grab a little attention? 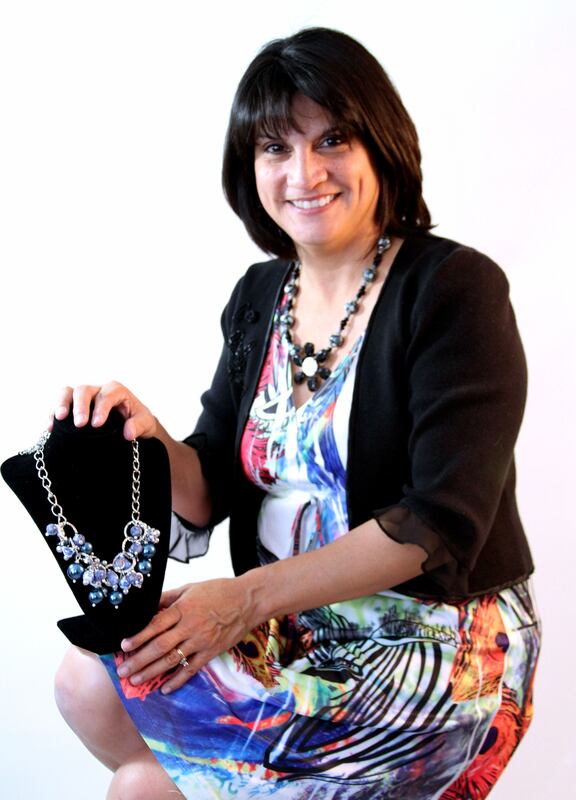 Wear a piece of jewelry that is an eye-attracting yellow color, or an item with yellow accents. 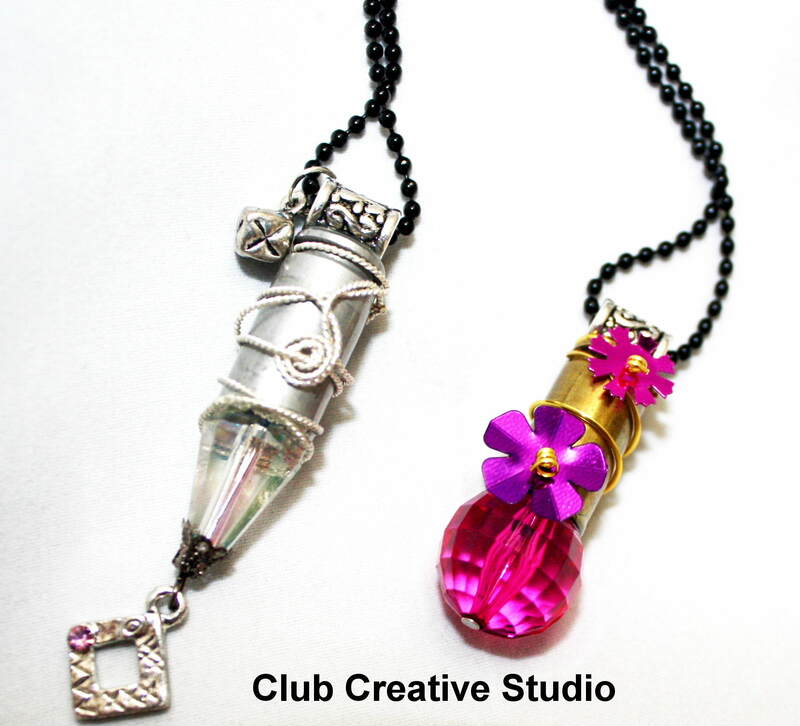 Club Creative Studio hand-made necklace. That may do the trick since yellow is considered the most visible color, it is also the most attention-getting color. Yellow can be used in small amount to draw notice, such as on traffic sign or advertisements. Yellow is a great color to highlight. 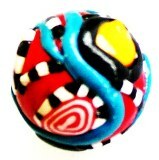 In this Club Creative Studio Hand-made clay beads. Notice that “pop” of yellow really stands out! While that same wonderful sunny yellow color stands out and makes you feel happy and warm, yellow also often tends to be the most fatiguing to the eye. This is said to be reasoned out due to the high amount of light that is reflected. So, in today’s extreme use on computer monitors, the background color yellow can lead to extreme eyestrain. 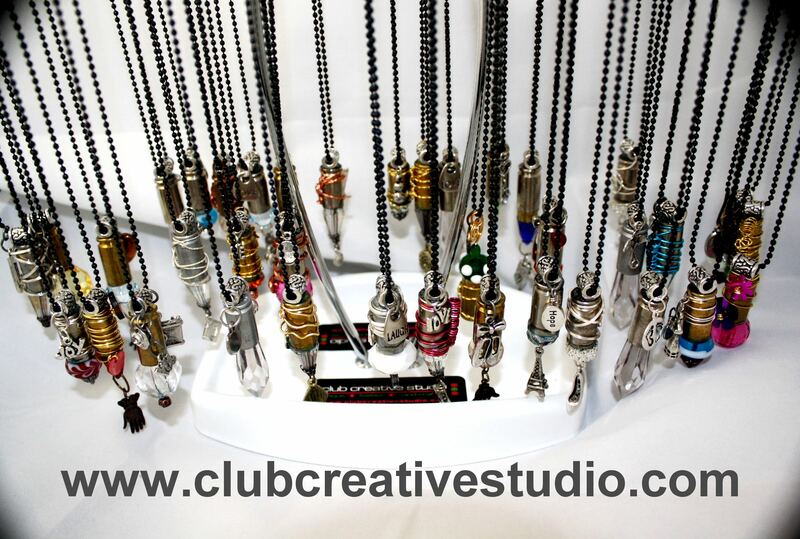 One thing is for sure, when you wear a Club Creative Studio art items heads will turn no matter what color is highlighted in the design, and that won’t be because of eye strain! 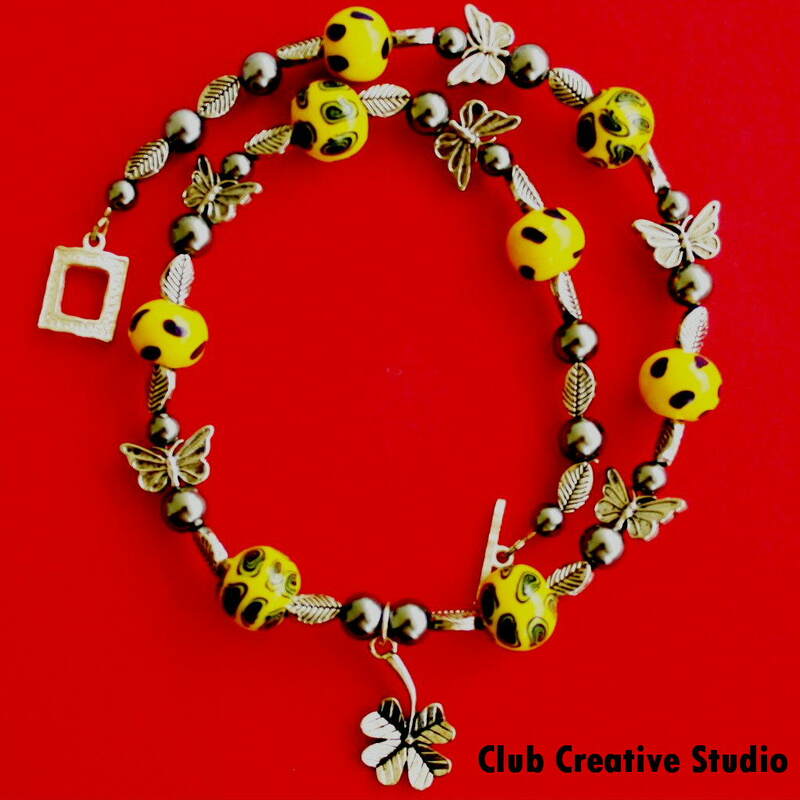 Club Creative Studio- Sunny yellow hand-rolled polymer clay beads. The studied flip-side of the psychological effects of happy yellow are frustration and anger, however. It seems that studies have been done to also prove that people are more likely to lose their tempers in yellow rooms and babies tend to cry more in yellow rooms. This goes to show even for colors everything in MODERATION should keep us all at an even keel. For me yellow has always brought to mind a sunny side up egg. It is a pleasing color that also makes me have a hankering for eggs! 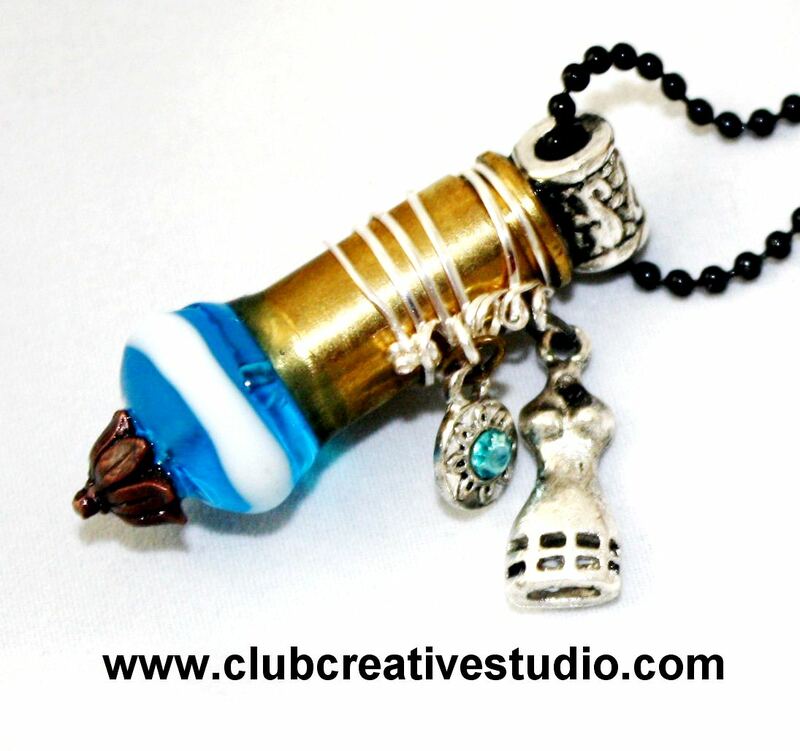 Club Creative Studio hand-torched glass beads. Speaking of balance, yellow can also increase the metabolism. So, let’s keep a healthy dose of yellow in our wardrobes. How does yellow make YOU feel? 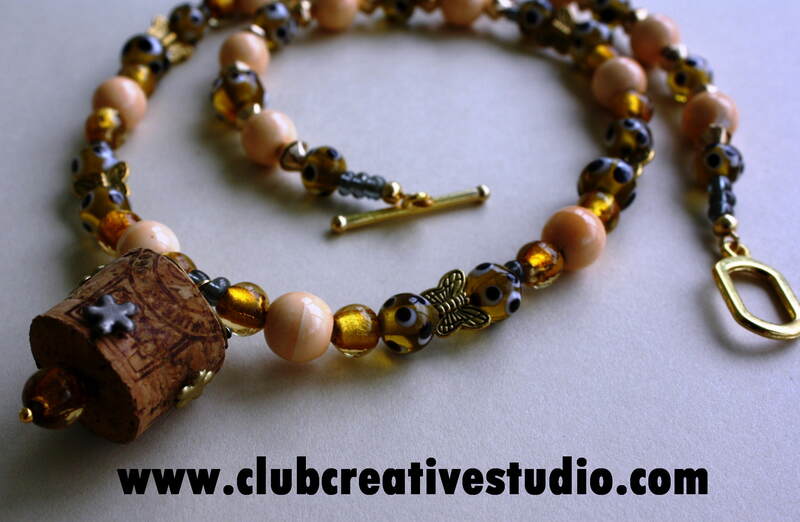 Club Creative Studio- Wine Cork Necklace.